You know that blogging is important, don’t you? Everyone out there has a blog that’s up, running, and working 24/7 for the business, or at least they should. If you haven’t started a blog yet – shame on you – then it is time that you do so. However, you have to make sure that you are blogging the right way if you want to make it a truly effective part of your marketing strategy. Poor writing is one of the things that cause many blogs to falter. Writers that have poor spelling and grammar are going to turn off many readers. The style of writing can be off putting as well, especially if the blog doesn’t flow naturally. Not engaging the readers of the blog is another mistake that is going to make readers look elsewhere for information. While you want the blog posts to be informative, you also want to make sure that your posts are getting the reader to think and to comment or ask questions on your post. Engaging the readers is a great way to start relationships that could results in sales and new clients. Your blog should have some type of focus, as well. While it’s possible to hit the outskirts of your field, and to delve a bit outside sometimes, you are going to need to make sure that you stick to the focus of your site 90% of the time. After all, that’s what the readers come to the site for in the first place. 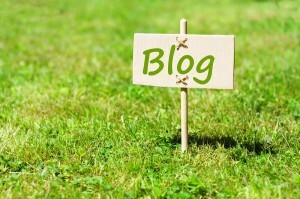 Another serious mistake that small business blogs make is over promotion. They make all of their posts and content on the blog – not to mention the social networks – about their business and products. You have to be able to temper the desire for promotion. Provide quality information! Poor presentation is yet another issue that some blogs have. A blog that has a poor design, the wrong fonts, and hard to read colors will not endear you to your readers, even if you have the best content that reveals the meaning of life and next week’s winning lotto numbers. Presentation is critical for success, and you have to make sure that you are set up for mobile readers, as well. Do you find that it’s hard to keep your blog up to date and focused on your specialty? What are some of the things that you do to make sure that you are keeping your blog fresh?